What is Hyperbolic Discounting, and how is it related to investing? Before I answer this, let me first give you a thought experiment. Below are three scenarios that I want you to consider. Carefully read the question, and answer immediately, which among the two given choices you prefer. I’m giving you money. Which one would you prefer? First choice: receive P10,000 now; or second choice: receive P20,000 next year. Have your final answer before you read the next scenario. Done? Then proceed. Let’s say that I changed my mind and, instead, I’m choosing to give you money in the future. This time, which one would you prefer? First choice: receive P10,000 five years from now; or second choice: receive P20,000 six years from now. Again, finalize your answer before proceeding below. If you’ve made the choice, then consider this last scenario. Imagine that it’s five years later, and I’m now giving you a chance to change your original answer in Scenario B, which one would you now choose? First choice: receive P10,000 now; or second choice: receive P20,000 next year. Without being too scientific about it, hyperbolic discounting is the tendency of an individual to prefer things that arrive sooner rather than later. This is the reason most people would choose to receive P10,000 now rather than the P20,000 a year after for Scenario A. However, when presented with Scenario B, more people will choose to wait six years to receive P20,000 rather than getting the P10,000 five years after. Last, take note that Scenario C is just like Scenario A, but only set in the future. If you choose to receive P10,000 now in Scenario A, then you’ll most likely want to receive P10,000 also in Scenario C, even if your choice was to get P20,000 in Scenario B. Indeed, most people will choose to get the money now, instead of waiting for the better reward in the future; but are willing to delay gratification to get the higher amount if both choices require waiting. Each person is different, and there would be those who will still choose to get the P10,000 in Scenario B. If you’re one of them, then ask yourself: would you still choose P10,000 in that scenario if the delay was 15 years, instead of five years? Or are you going to choose to the second option (wait 16 years) and get the P20,000? Logically, it’s best to choose P20,000 in all scenarios. But people will “discount” or fail to realize this because they fear the uncertainty that comes with waiting. If you still remember what a hyperbola looks like, that’s the shape that forms when you plot the number of people who are willing to wait longer for the better reward against the waiting time. That is, more and more people will be willing to delay gratification and receive the higher amount if you increase the waiting time to receive the lesser amount. Those who chose to receive P10,000 in both Scenario A and C can be described as “present-biased”; and it requires an investor mindset to logically choose the better recourse of getting P20,000 a year later. If you’re financially aware enough, you’ll know that it’s rare to find an investment today that can double your money passively within a year—and that’s why the second option is such a great deal. Unfortunately, not a lot of people will have that knowledge, nor will they have the kind of mindset that is willing to take the risk. So they’ll choose what’s “sure” and settle for the lower reward. And this is the reason most people don’t invest. Remember that life is uncertain, and having that fear is normal. However, with proper financial education, you’ll know better which financial risks are logically and practically—worth choosing. 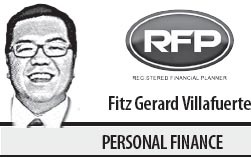 Fitz Villafuerte is a Filipino entrepreneur, investor and a Registered Financial Planner.